North Carolina Adjuster Licensing Education is the key to kick starting your career in Insurance Adjusting. The Agents Choice promotes student preparation and achievement in passing the Adjuster state examination the first time. The Agent's Choice prelicensing course covers all the topics on the NC state Adjusters exam. Property and Casualty courses do not. 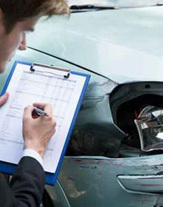 The Adjuster course includes a qualified instructor to answer your questions and a multitude of free practice tests. Click on any course for a course description. All books are shipped the next business day using Priority 2-3 day delivery. No Registration is necessary for Book purchases. The book has all the same course material as online courses. Tests are not included with a book only course. Start working on your new Adjuster Career TODAY! Why Choose an Internet Online Course from The Agent's Choice PLE School? Our online study enables insurance adjuster licensing candidates to have a flexible study schedule. You can study at your pace any time you wish. Your instructor is a licensed North Carolina insurance agent with over 35 years experience and will answer your question relative to the North Carolina exams. We write and publish our own material making it the most current you can find anywhere. The course writer is also your instructor. The instructor, Ronald Delk, has over 20 years experience teaching insurance education. With our online courses there is no need to travel to a class or try to keep the class schedule. If you miss part of a seminar class you will likely be required to start all over again in the course. You will not have this problem with our online courses. We have lower tuition costs than a typical seminar class. With our courses, if necessary, you may continue your present job while studying our insurance pre-licensing courses on your own time. The Agent’s Choice courses are 100% online. You won't be alone. We are here to help you succeed. We believe you will never find any better service for our students from any other insurance education providers. Our courses feature online practice tests to test your understanding of study module topics. Each module test is graded immediately and may be taken as often as you wish. All tests and exams have been developed by The Agent's Choice PLE School.